Here are the ten most popular news articles, week ending 15th July 2018, covering catastrophe bonds, ILS, reinsurance capital and related risk transfer topics. To ensure you never miss a thing subscribe to the weekly Artemis email newsletter updates or get our email alerts for every article we publish. Issuance of new catastrophe bonds and related insurance-linked securities (ILS) in 2018 has now reached $10 billion, as deal flow keeps pace with last year’s records and this year now becomes only the second to see a double-digit volume of new cat bond transactions. The first pure wildfire exposed catastrophe bond has come to market, as California focused electrical utility PG&E Corporation (the Pacific Gas and Electric Company) turns to the capital markets and ILS investors as a source of collateralized insurance protection with a $200 million Cal Phoenix Re Ltd. (Series 2018-1) transaction. 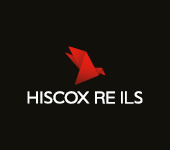 After muted rate movements across the reinsurance sector during 1/1, followed by disappointing April and mid-year renewals, Director of Underwriting, London at Hiscox, Megan McConnell, feels rates at this level are unsustainable for a purely equity-based balance sheet. Stone Ridge Asset Management, the alternative risk premia focused mutual fund manager, is no stranger to taking big bets on the world’s largest insurance and reinsurance firms, with its portfolio of ILS assets now amounting to $7 billion. Catastrophe risk capital is gaining importance as a measure of capital adequacy and is gaining momentum as a metric for insurance and reinsurance firms to optimise their capital management and profitability targets, suggesting an increasing demand for the capital markets and ILS in providing catastrophe focused capacity. The recent devastating flooding in Japan which is now reported to have caused at least 200 deaths and the flooding of thousands of homes and commercial properties is expected to cause industry losses in the billions of U.S. dollars, according to reinsurance broker JLT Re. Insurance-linked securities (ILS) fund manager assets have continued to grow in 2018, however the rate of growth has slowed in the second quarter as ILS funds had already raised significant new capital following the 2017 catastrophe losses and around the January renewals. Natural disaster losses around the globe paid for by the insurance and reinsurance industry during the first-half of 2018 came in at just $17 billion, which is down one-third from the prior year but aligned with the long-term average, according to global reinsurer Munich Re. The recently completed $350 million Frontline Re Ltd. (Series 2018-1) catastrophe bond transaction, which benefits cedant Frontline Insurance, was the largest cat bond sponsored by a Florida insurer since 2014 and was well-received by investors, the structurer Swiss Re said. This is not every article published on Artemis during the last week, just the most popular, some of which were published over a week ago. There were 22 new articles published in the last week. To ensure you always stay up to date with Artemis and never miss a story subscribe to our weekly email newsletter which is delivered every Wednesday.